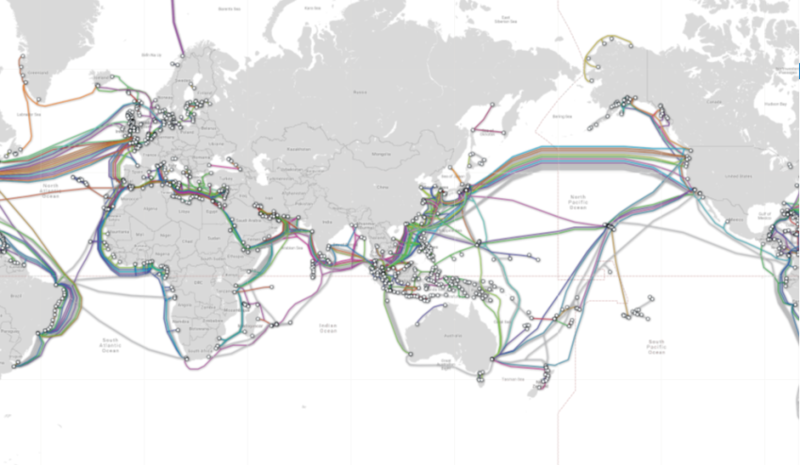 Every day millions of financial transactions and communications pass along the half a million miles of undersea fibre optic cables that are increasingly vulnerable to interference by both state and non-state actors. Captain Tim Green, a 25-year veteran of the Royal Navy, said more people were alive to this risk, which could seriously interfere with the commercial and economic activity upon which both the UK and Australia absolutely dependent. Capt. Green, who served aboard submarines and commanded HMS Westminster, a Type 23 anti-submarine warfare (ASW) frigate, said ASW was now more than just defending against submarines. "It's the whole sphere underneath the sea surface,” he told Defence Connect from the UK. "So we call it the underwater battle space because it's not just about the traditional manned submarines, it's about remote vehicles and it's about protecting some of the critical national infrastructure, not just defence assets, but commercial assets, too, along the seabed." Capt. Green said half a million miles of fibre optic cables on ocean seabeds carried 97 per cent of all global communications. "And that surprises a lot of people, because they still think in the day of the 21st century, that most communications are done via satellite," he said. "You've got somewhere in the region of about US$10 trillion of trade going on through those cables, and about 15 million financial transactions happening every single day. "Those cables aren't owned by nations. They're owned by private companies. There's about just over 200 different private operators that administer and look over those cables." These cable are indispensable, insecure and vulnerable to interference by state or non-state actors, using submarines, submersibles or, depending on depth, divers. "What is apparent in the Navy, where we sit, and indeed where I expect the Royal Australian Navy sits, is understanding and being able to operate in that underwater warfare battle space and actually have an active picture of what's going on and being able to track those submarines and submersibles and monitor friends from foes is absolutely key," he said. The RN is now in the process of replacing its ageing Type 23 with the Type 26 Global Combat Ship, with the first now under construction. BAE Systems Australia is pitching the Type 26 as its contender for Australia’s new frigate under Project SEA 5000. Also competing are Spanish shipbuilder Navantia and Italian shipbuilder Fincantieri. Australia plans to buy nine new vessels to replace the eight Anzac frigates. They will be configured for ASW. Capt. Green said the Type 26, which takes much of the technology from Type 23, would be a world class vessel. That technology includes the Thales Type 2087 towed array sonar, regarded as the best of its type in the world. He said Type 23 was a very quiet vessel and Type 26 would be a generation ahead. "I don't think anything else is going to touch them and they're just going to be superb," Capt. Green said. Capt.Green said he didn’t deal with BAE Systems on this project but had been involved with the program team of fellow military officers and officials. "I sent some of requirements to them, given them my underwater battle space experience and they take that forward," he said.